TAMPA, Fla. -- Dr. Bennet Omalu, the doctor who single-handedly changed American football, professional sports and how the world perceives traumatic brain injuries, will be speaking at 7:30 p.m. on Thursday, Dec. 3, 2015, at the David A. Straz Center for the Performing Arts in Ferguson Hall. The event is free and open to the public. No tickets are required for this event, which is part of the Frontier Forum Lecture Series sponsored by the College of Arts and Sciences and the Office of the Provost. As chronicled in the upcoming film "Concussion" starring Will Smith, Omalu's story is one of great triumph in the face of seemingly insurmountable odds. In 2002, Omalu made a career breakthrough when he became the first doctor to discover and identify chronic brain damage as a major factor in the deaths of some professional athletes. He called the disease Chronic Traumatic Encephalopathy (CTE), which he first discovered as the result of an autopsy he performed on Mike "Iron Mike" Webster, one of the best centers in NFL history. Within five years of reporting on Webster's case, Omalu went on to identify CTE in eight more deceased NFL players. He also was the first to discover CTE in military veterans diagnosed with PTSD, as well as professional wrestlers. But his findings were summarily dismissed--and even ridiculed--by his professional peers, the NFL and the sports industry. The NFL even made a concerted effort to retract Omalu's published papers. But Omalu stood by his scientific findings. 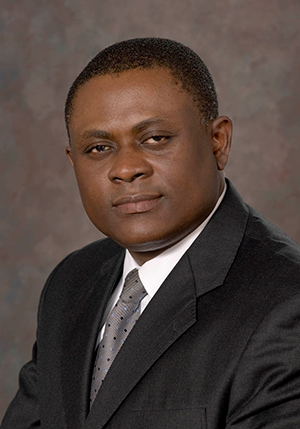 A pioneer in the field of pathology and sports injury, Omalu is currently the chief medical examiner of San Joaquin County, Calif., and the president and medical director of Bennet Omalu Pathology. He is the author of "Play Hard, Die Young: Football Dementia, Depression and Death" and another book, "Concussion," that chronicles his discovery of CTE and the challenges he faced by taking on the NFL. The movie by the same name will be released on Dec. 25 and stars Will Smith as Omalu, Alec Baldwin and Luke Wilson. Limited seating is available for this event. Doors will open at 6:30 p.m. For directions and parking information, please visit the Straz's website. Following the lecture, Omalu will sign copies of his book, which can be purchased at the event. The Frontier Forum lecture series is presented by the USF Phi Beta Kappa Alumni Faculty and sponsored by the USF Office of the Provost and the USF College of Arts and Sciences. Since 2010, the Frontier Forum has hosted several notable speakers such as Jane Goodall, Neil deGrasse Tyson, Michio Kaku and Rory Kennedy.